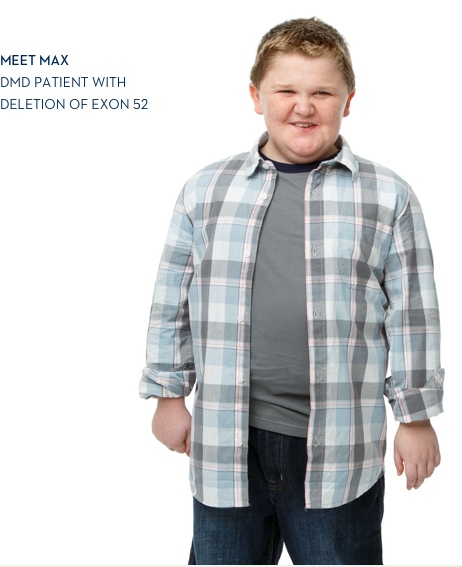 EXONDYS 51 (ETEPLIRSEN) UTILIZES EXON SKIPPING IN DUCHENNE. 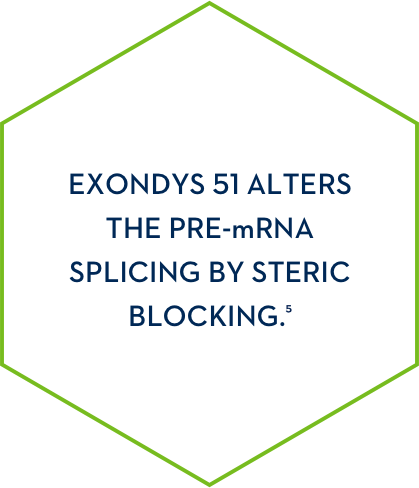 MECHANISM OF EXONDYS 51 IN DMD.  Learn more about clinical trial results that show an increase in dystrophin in some EXONDYS 51 patients. Aartsma-Rus A, et al. 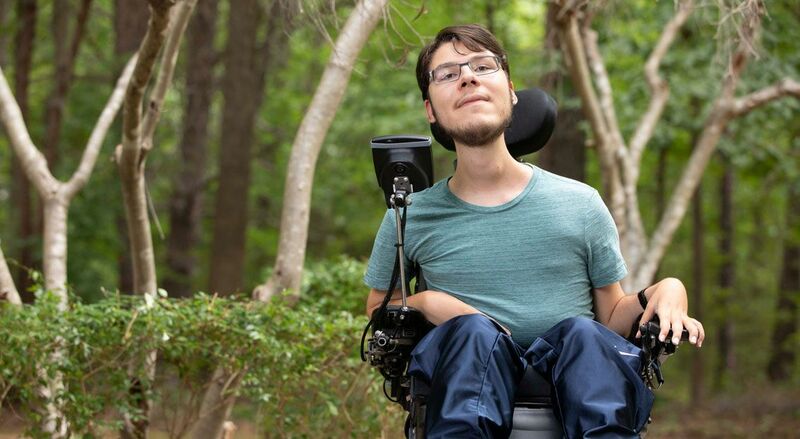 Entries in the Leiden Duchenne muscular dystrophy mutation database: an overview of mutation types and paradoxical cases that confirm the reading-frame rule. Muscle & Nerve. 2006;1:135-144. 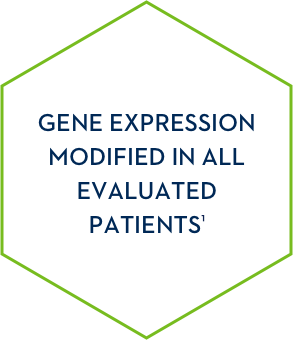 Wood MJA, Gait MJ, Yin H. RNA-targeted splice-correction therapy for neuromuscular disease. Brain. 2010:133;957–972. 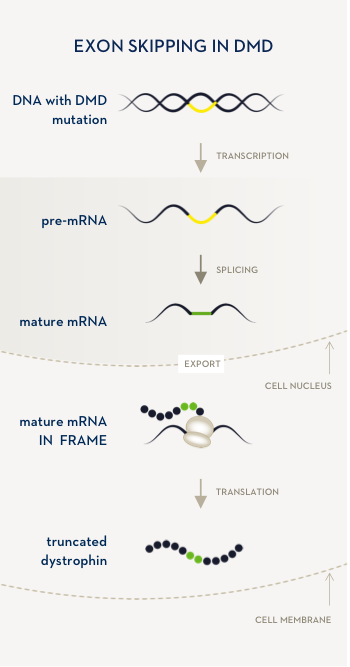 Kole R, Krainer AR, Altman S. RNA therapeutics: beyond RNA interference and antisense oligoneucleotides. 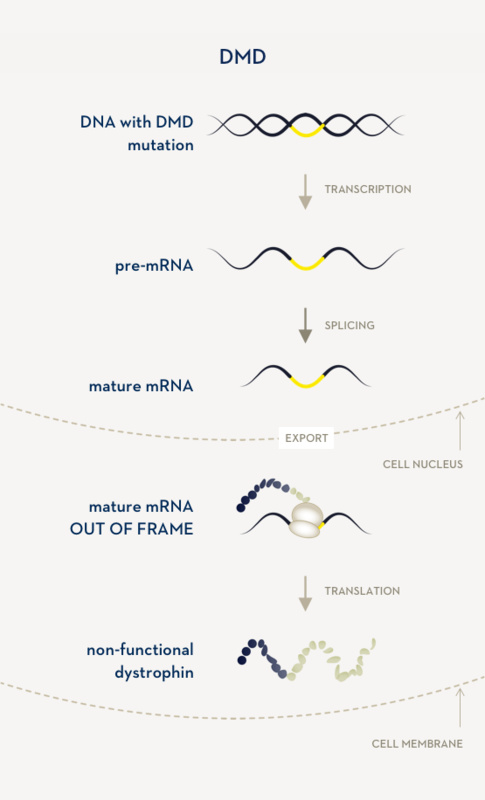 Nature Reviews Drug Discovery 2012;11:125-140.